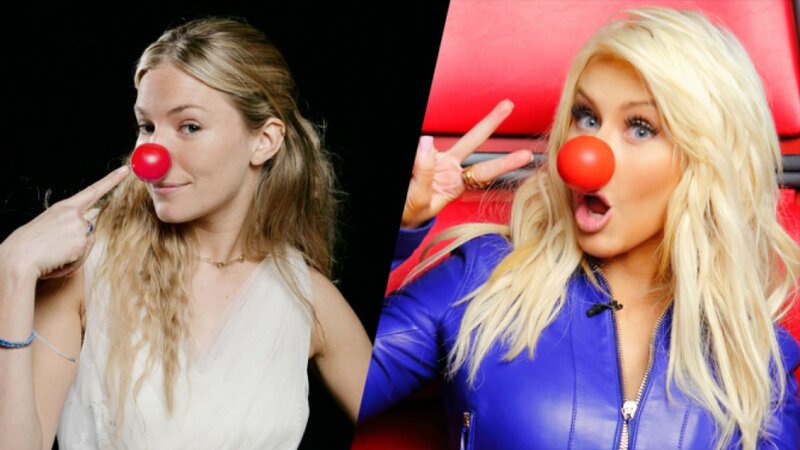 Red Nose Day USA will be star-packed telecast featuring standup and sketch comedy segments, musical performances and various celebrity appearances. The special will originate from New York’s Hammerstein Ballroom. Actress Sienna Miller and “Voice” coach Christina Aguilera (pictured) are already on board for early promotional efforts. So is “Mad Men” star Jon Hamm. Red Nose Day was launched in 1985 by director Richard Curtis, of “Love Actually” and “Bridget Jones’s Diary” fame. The goal was to raise money for a range of worthy causes and also generate awareness among the public of the struggles of underprivileged people around the world. As in the U.K., Red Nose Day will include a retail push to encourage people to buy plastic red clown noses to wear on May 21 as a means of acknowledging the greater need in the world. Paul Telegdy, NBC’s president of alternative and latenight programming and native of Blighty, worked on Red Nose Day programming earlier in his career at the BBC. He’s eager to see it expand to the U.S. on NBC’s air. The priority is to raise a lot of money for charities, but it will also be a big, noisy live event that will be supported across NBCUniversal divisions and hopefully draw a big crowd to the network just as it transitions into its summer schedule. The telecast is being exec produced by Curtis and Hamish Hamilton and Ian Stewart of Done + Dusted.